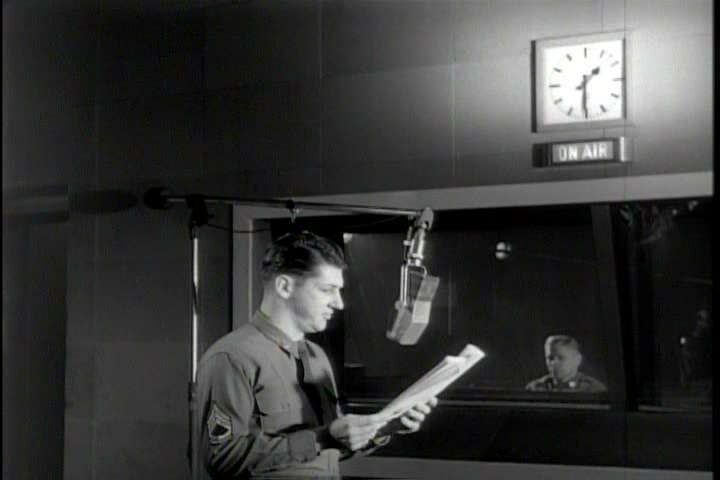 sd01:39CIRCA 1950s - Soldiers listen to radio news that help them strategize. Military programs are developed in classrooms in 1952.
hd01:39CIRCA 1950s - An African American mom reads the instructions for her new sewing machine and her husband and sons polish their new power-saw. hd00:36CIRCA 1940s - On overview of the nature of sound explained to a curious boy by his older cousin, a sound engineer in 1947.
hd00:261950s: Woman places cookies on tray. Two boys and girl watch television. TV screen shows baseball game. Woman walks in with cookie tray. Children choose and eat cookies. Woman sits down, watches TV. hd00:12UNITED STATES 1940s: Man points out part in model to workers / Close up of man / Man points out parts to workers.